The real problem is not just that opioids exist, nor is it necessarily the fact that the rate of prescribing of these painkillers has tripled over the last two decades, though both of these are contributory factors. It is mostly because they are simply so easy to get. There is no need to find a seedy drug dealer and cook your own heroin when it is so readily available in pill form. And, many people who are legitimately prescribed these drugs never get rid of the remaining doses when their severe pain has resolved. There is an underlying feeling that “we might as well keep them around just in case we have a need for one or two pills in the future.” Unfortunately, there is no monitoring of how much remains or even how long the pill bottle has been sitting in the cabinet. 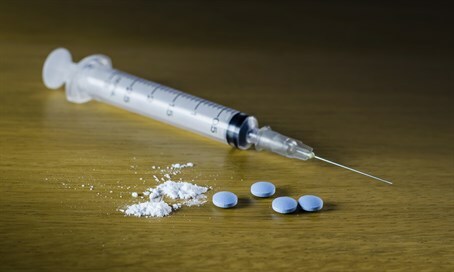 According to some reports opioid use and subsequent deaths has reached epidemic proportions. In the United States, according to the Centers for Disease Control and the National Institute on Drug Abuse, death from opioid overdose tripled in the last twenty years, mirroring the increased rate of prescribing of painkillers. In 2014 alone there was a 14% increase in death from opioids. These rates are not restricted to the US. Similar percentages have been reported in Israel. It is also an error to pretend that the problem does not exist in our own communities. Addictions are a human problem, they can and do exist everywhere. To combat the addictive nature of opioids recommendations have been made to train healthcare providers to prescribe them more conservatively. By limiting the gateway and availability it is argued that addiction is less likely to occur. There is also a concerted effort to expand proper and effective treatment for all substance use disorders. Another important suggestion is to train the health care community and community members to improve and increase detection of substance use. All three recommendations are important. I believe that the third one is the most significant. If we are more willing to be aware we can intercede sooner or even prevent a problem from developing in the first place. That requires a degree of vigilance and sensitivity that must be nurtured. I sometimes suggest that parents attend a 12 step, Al-Anon type meeting to hear about the problems that overuse and addiction cause and just how well people those with a substance use disorder hide it. They will hear stories of horror about alcoholism and worse. They will hear how teens graze the medicine cabinets in their homes and the homes of their friends, they will learn how children learn to crush pills to snort them for a quicker high. Most important, though, is they will learn that addictions often start in the home and vigilance is the first line in prevention and control. If we enhance the way we nurture and then monitor we can help our children and community even more.